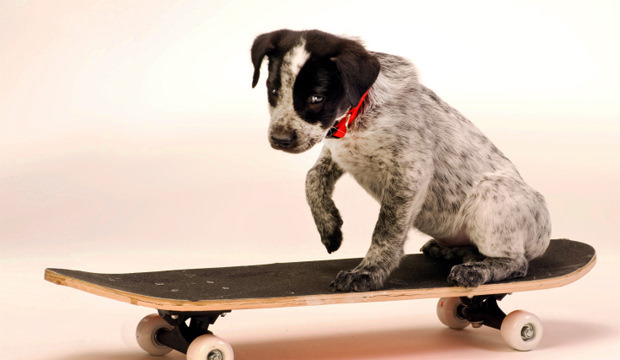 Skateboarding dogs are the stars of some of the most popular videos on YouTube. Smaller breeds such as bulldogs and pugs are perfect for this trick as they have a lower centre of gravity. Start by introducing your dog to the skateboard gradually. Some dogs can be terrified of a noisy, moving object that has the ability to chase them, so it is important to break them in slowly. Place the skateboard upside down on a carpeted surface to allow your dog to inspect it at his own pace. Praise and reward him for any interest he shows in the skateboard. Spend a few sessions simply doing this and gently spinning the wheels to let him get comfortable before proceeding to the next step. Turn the skateboard the right way up, and start slowly rolling it away from your dog on the carpeted surface. Never roll it directly towards your dog as this may spook him. Take the skateboard outside, and continue rewarding your dog every time he shows interest or touches the skateboard. Slowly begin to entice your dog to mount the skateboard. You may have to give your dog some gentle encouragement at first by lifting him onto it. Once he stands still, reward him generously. Begin to build up your dog’s confidence before graduating to pushing him on the skateboard. Once he feels safe and secure, gently roll him forwards and backwards whilst praising and administering treats. Tricks?…..we have dogs that can unlock and open kennel doors, and all of the dog gates in the house have had to be modified as they had figured them out in days. I most certainly will NOT teach my dogs how to open the fridge door. All I need is for them to clean it out while I’m away or just not paying attention. 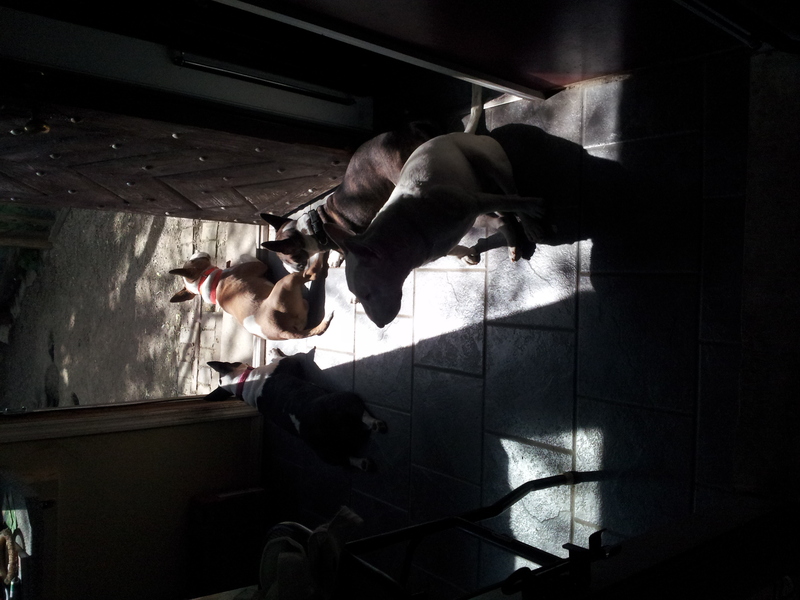 They are very good at noticing when my back is turned when they are attempting to get away with something anyway. At least my Golden is…. Lucky for you, all of these tricks are optional. 😀 You don’t have to train any you don’t want. Terrible methods. Dogs do NOT speak English. Yelling unknown words at them stresses them out becasue they do not understand waht you want, they need to be taught the action first, then the word once they fully understand the action. I just want to point out that dogs recognize the tone of your voice and other sounds. And we arent yelling at them, we are talling as we are doing the activity or action. You can use other methods also. Just saying. I need one of those for my great dane. hes a babby but a big one. I jest had to stand out side in a cold wether. and I am a girl I am 8 years old. 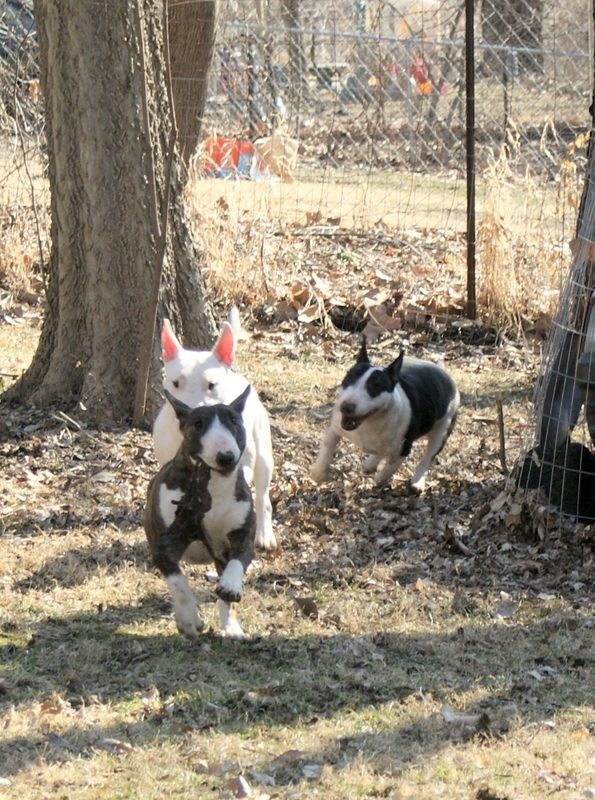 and my dog is not putty traind my puppy is a great dane . There’s one big mistake this article makes: you should always say the command WHEN the dog is doing it, not before. 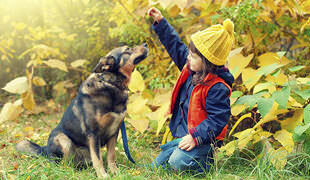 The dog needs to know that the command is linked with the action, so saying high-five before having him do it might not link the action to the word for him, as he will have forgotten the word already. Wait till he does it, then simultaneously say the command, and reward him, for him to learn the connection. I love reading your posts, very light dialogue. Nice. i know exclusive only 3 steps and teach your dog properly. I took my puppy from a dog foster home about a year ago. I love him to bits; he has a great personality, and I feel that he loves our family so much. BUT, he bites a lot. How to stop it? My husband and I were thinking about taking him to ‘doggy school’, but then again, it’s extremely expensive, and the nearest ‘doggy school’ is far away from us. Maybe you have some advice? THANK YOU!!!! When your dog bites you, you need to make a high-pitched squeal and immediately cease anything you are doing with him, turn your back to him, and walk away. 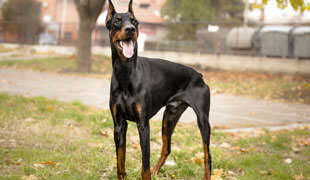 This shows your dog that he’s hurting you (even if the bites don’t hurt, this is important) and that biting won’t get him anything he wants. If the bites are hard enough to bruise or draw blood, then ignore what I’ve said and seek professional help. I have a new lab puppy terrible biting and nipping. We tried flicking nose, slapping lightly, time outs ( put in laundry room for a few minutes and the Owee that hurts and ignore routine. None of that worked. I started with treats and holding my hand out, if he licked I said ” good ” and rewarded and said ” kisses as he licked” . It only took a few times and he is now kissing instead of biting! These are such fun tricks! How difficult would it be to teach my dog something like “dance?” I have been able to teach her “sit” over the past couple months, but it seems like it takes a long time. It also doesn’t help that I have a very busy work schedule. My dog picked it up in seconds, he’s a beagle. what breed of dog is yours? You literally get a nice treat and raise it above their head until they jump. Nothing wrong with some negative reinforcement too. At the age you mention, sure. But once you hit teenager you need more structure and a sharp “no!” – and on hard pups, you need a good jolt. I train with positive, and reinforce with negative when I know he is refusing to do something he knows (and only then – with 2 exceptions. Fluff eating – which I am sure is like bacon cotton candy, and cat chasing. Those get high electric stimulus for safety reasons). your dog is very smart and well motivated to please. That’s awesome. I took my puppy from a dog foster home about a year ago. I love him to bits; he has a great personality, and I feel that he loves our family so much. BUT he barks A LOT. . So, leaving home is always a challenge for us. I was using justin boldoni technique from facebook and it work greats.